A natural extension of the identity work, we have helped Al Alam Solutions get online presence. 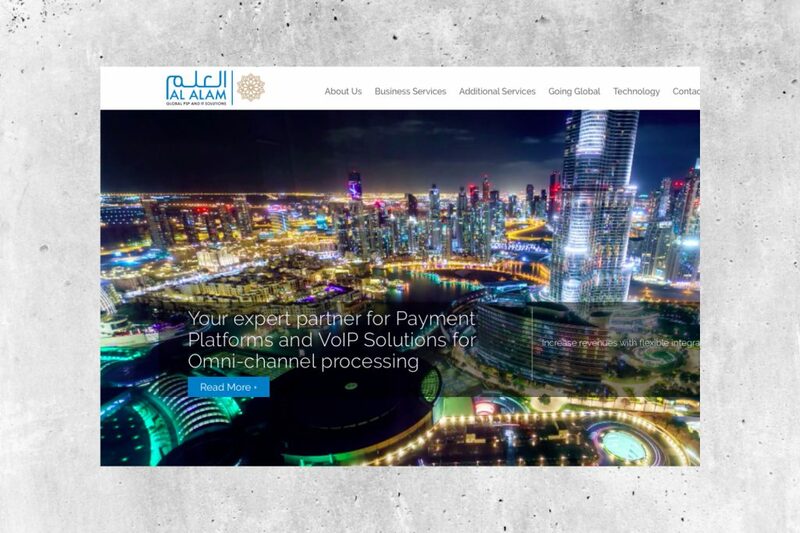 As an online payment provider, Al Alam Solutions required a simple, yet informative website. Apart from the fact they were among the first technology providers in the region, they have very much focused on being the leaders in the years to come. Hence the desire to feature local photography and resemble the strong presence in the UAE.